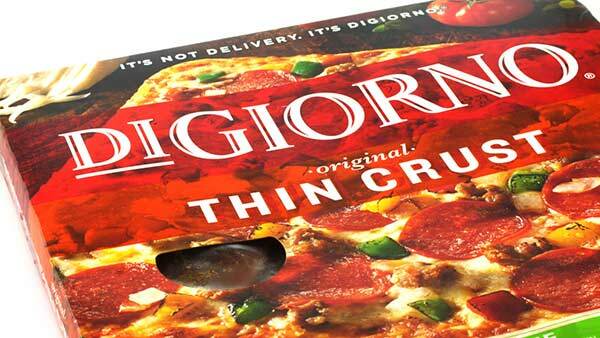 NEW YORK -- Nearly three million boxes of frozen DiGiorno pizzas, Stouffer's lasagnas and Lean Cuisine meals are being recalled after customers said they found pieces of glass in their food. Nestle USA, the company behind the brands, said no injuries have been reported. The food maker said the glass may have come from the spinach used in the recalled products. It said an investigation is ongoing. The recall covers about 2.98 million individual boxes, including four varieties of DiGiorno pizzas, five types of Lean Cuisine meals, four Stouffer's lasagnas and one Stouffer's spinach souffle. Nestle USA listed each recalled product on its website, including the production codes on the boxes and the "Best Before Dates."